The firm was started more than five and a half decades ago by our founding partner, José Rafael Acuña Montenegro, under the name Bufete Acuña Montenegro (in English, “Acuña Montenegro Law Offices“). Mr. Acuña began the firm’s intellectual property practice and also focused in aerospace law, corporate law and litigation. He was also involved in Central American Common Market (CACM) initiatives (a trade organization envisioned by a 1960 treaty between Guatemala, Honduras, Nicaragua, and El Salvador, which Costa Rica later joined). 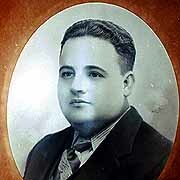 Mr. Acuña was a renowned academic and lawyer. He was a member of the Counsel for “Universidad Nacional de Costa Rica” -one of the countries top public universities- and owner of the iconic Manuel Aragón School of Commerce, responsible for graduating ex-presidents of the Republic like Francisco J. Órlich and Daniel Oduber and other notorious figures. ALPI adopted a corporate structure and changed its name in 1980 to Asesores Legales en Propiedad Industrial, S.A. This development was accompanied by a renewed commitment to the service values of integrity, timeliness, creativity and reliability. The firm now encompasses three generations of attorneys, with a specialized practice in corporate law, commercial law, real estate, intellectual property and litigation. Asesores Legales en Propiedad Industrial, S.A. is an active member in professional associations with local and international projection. Examples include the American Bar Association (“ABA”), the International Trademarks Association (“INTA”), the Costa Rican Chamber of Information Technology & Communication (“CAMTIC”), Internet Society (“ISOC“), all of which provide valuable academic and professional tools that help us to keep improving our services.